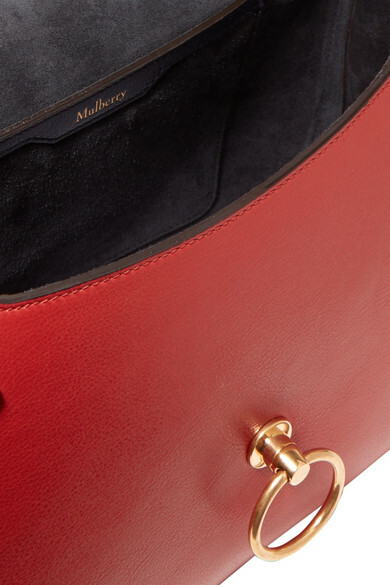 Mulberry's 'Amberley' shoulder bag is named after the 12th-century castle in West Sussex, England. 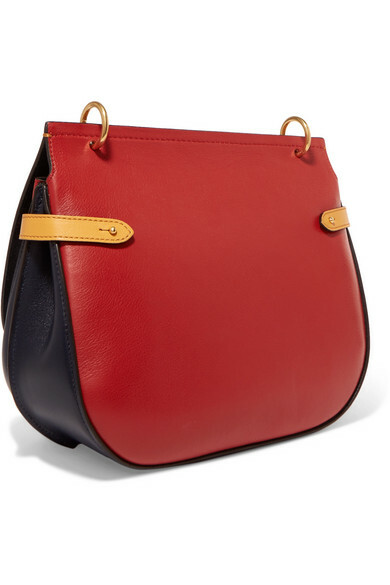 Designed in a curved satchel shape inspired by outdoor countryside pursuits, it's made from red, midnight-blue and saffron textured-leather and has a suede-lined pocketed interior. 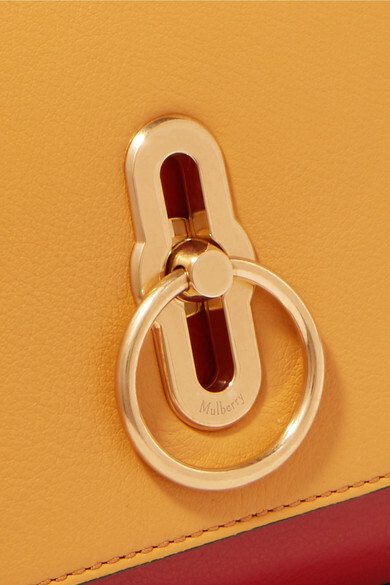 The gold 'Rider's' lock was introduced by Creative Director Johnny Coca and modeled after equestrian hardware. 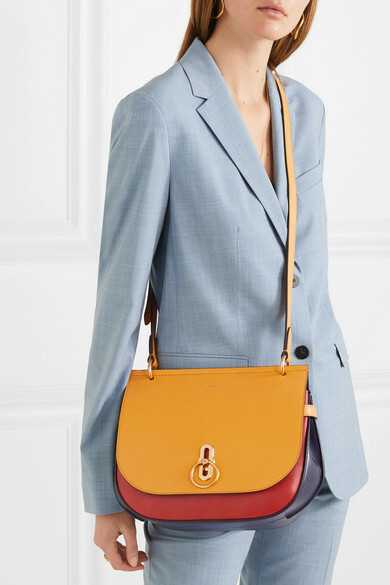 Shown here with: Theory Pants, James Perse Tank, Theory Blazer, The Row Sandals, Paola Vilas Ring, Chan Luu Earrings, Paola Vilas Ring.